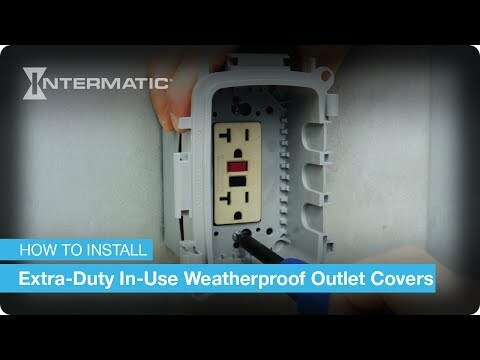 Intermatic 1-Gang weather-proof cover features die-cast aluminum construction and gray finish. It has dimension of 3-4/5-Inch x 2-3/4-Inch x 6-3/8-Inch x 1/8-Inch. This screw mount cover comes with an adhered gasket, mounting screws, base, cover assembly and inserts that is preferable for variety of applications. 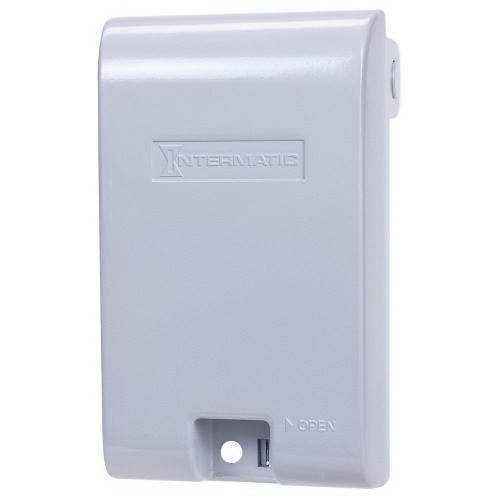 This NEMA 3R rated cover is suitable for industrial, commercial, manufacturing, residential and agricultural uses. It is incorporated with outlets that support 12-AWG or higher cords and lockable hasp accepts up to 1/4-Inch Dia shank. Cover is UL listed.